So we rounded up Ivan from IOS Hints and Greg from EtherealMind to record a fast, furious and focussed look at the state of play with the three data centre fabrics today. Lots of speculation, wild guesses and deep diving followed. I learned heaps. Brad Hedlund’s post on †Inverse Virtualisation – it seems Cisco might be forgetting that †there is more than one way to do it and Brad talks about the the other ways to do it while pointing out that the way HE does it is best. Keep up the good work Brad and stay “on message” for Cisco – keep pulling for the team. 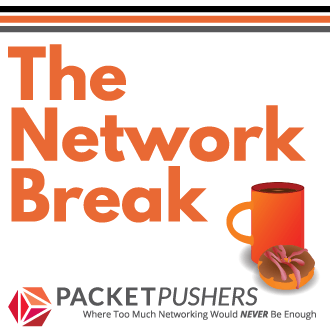 Follow the Packet Pushers on Twitter (@packetpushers | Greg†@etherealmind | Tom Hollingsworth), and send your queries & comments about the show to†[email protected]. †We want to hear from you! 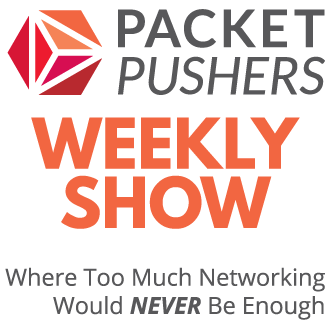 You can subscribe to Packet Pushers in iTunes by clicking on the logo here. You can subscribe to the RSS feed or head over to the Packet Pushers website to download the MP3 file directly from the blog post for that episode. No problem. Great writing and great blog.